These are a few of the online resources we use to help folks find that next great book, movie or music CD. We hope you find them helpful, too! 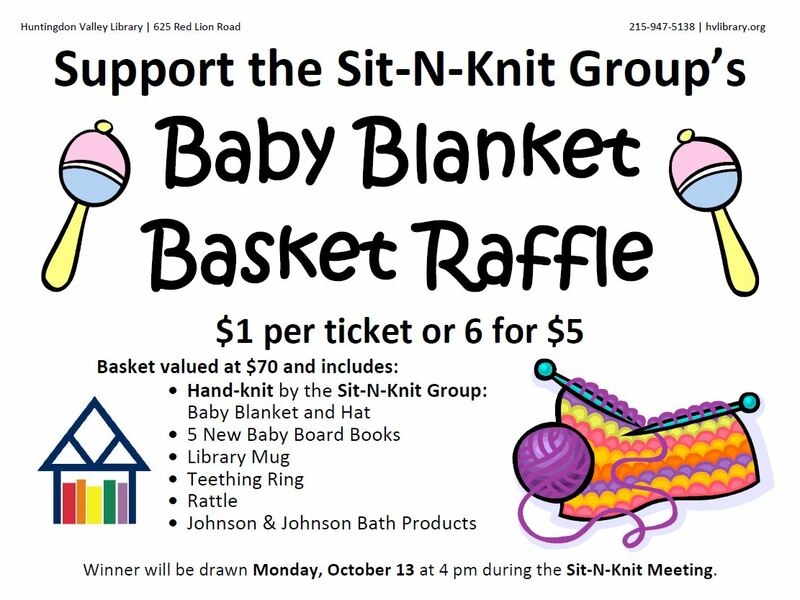 Drawing will be Monday, Oct. 13 in the 2nd Floor Community Room. Sit-N-Knit meets Mondays in the Multi-purpose room to share ideas and knit together. July Calendar of Events, including Summer Reading Programs for kids, teens and adults! The Monuments Men is an action drama focusing on an unlikely World War II platoon, tasked by FDR with going into Germany to rescue artistic masterpieces from Nazi thieves and returning them to their rightful owners. It would be an impossible mission: with the art trapped behind enemy lines, and with the German army under orders to destroy everything as the Reich fell, how could these guys – seven museum directors, curators, and art historians, all more familiar with Michelangelo than the M-1 – possibly hope to succeed? Directed by George Clooney, and features Matt Damon, Bill Murray, John Goodman, Jean Dujardin, Bob Balaban, Hugh Bonneville, and Cate Blanchett. Children’s Summer Reading – Fizz, Boom, Read! Registration begins Monday, June 23 at the Library! All books – paper, ebooks and audiobooks – can be counted toward your reading time. There’s more – continue to visit the library all summer long for fun programs and books to read. You can keep earning raffle tickets for a chance to win one of our 10 grand prize raffle baskets! Earn a raffle ticket at each Program you attend and every time you visit the library to check out books. Turn in your Time Log by August 1 for an additional 10 tickets! Special Thanks to Dairy Queen of Bethayers and Bertucci’s Restaurant. Spark a Reaction – Teen Summer Reading! Teens entering 6th through 12th grade can register online for the Teen Summer Reading Program beginning June 23. All books—paper, e-books, and audio books—can be counted toward your summer reading goal and each review you complete, enters you into the weekly raffle drawings. Read all summer long for a chance to win YA books and iTunes gift cards. Join us at the Teen Summer Reading kick-off event with a visit from author David Lubar! Book #1 vs. Movie #1 | Come discuss the book and then watch the movie with pizza and popcorn. We will be creating Hunger Games themed crafts! Join us for crafts, food and fun! 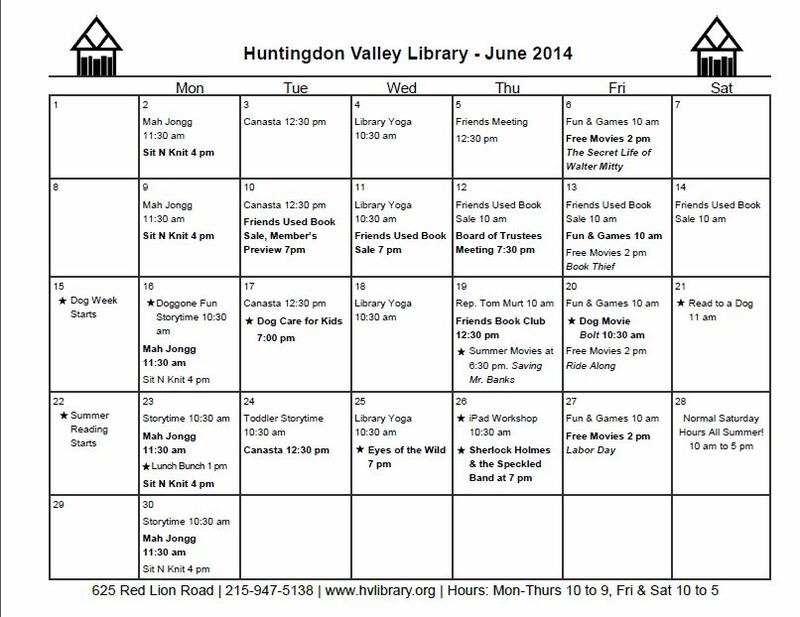 Teen Summer Reading sponsored by Huntingdon Valley Bank. David Lubar is appearing courtesy of the MontCo Public Libraries. Why should kids have all the fun! This club is an opportunity for adults to celebrate and enjoy summer reading. “Literary Elements” is the theme of the 2014 Adult Summer Reading Program. To join the club, simply submit a registration form at the library and start reading! As you finish a book, let us know by giving the book a rating of one to five ‘flasks’. If you would like to write a brief review of the book to share with the club, it would be appreciated by the other club members, but a review isn’t required. Come watch Sherlock Holmes solve a case, learn about Women in Science, or ask an author about his new Dead Sea Scrolls mystery. Earn chances to win one of four raffle bags or the grand prize of a Keurig K-Cup OfficePRO by just reading. Might we suggest a ‘mystery’ book from the “Blind Date with a Book” display, a new Vacations Read paperback or a new mass market paperback purchased by the Friends of the Library? Each Literary Elements Book Review turned in earns you a chance to win a raffle drawing. Drawings will be August 6 at the Fizz, Boom, Read Wrap Up Party. Neill Hartley is Sherlock Holmes in a thrilling version of the short story by Sir Arthur Conan Doyle. 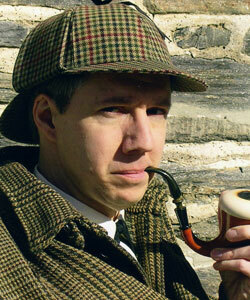 See Sherlock Holmes in his study working out the mystery with Dr. Watson. Then follow him to an old mansion where he must stop a killer from committing another horrible crime. This one-man show is a fully-staged performance, followed by an informational section and question/answer period. A look at 25 women who changed the face of modern science. The inspiring back story depicts how Walt Disney made “Mary Poppins” and managed to get the film to the screen despite obstacles. Starring: Emma Thompson, Colin Farrell, Tom Hanks. 120 minutes. This multilayered examination of the 2009 hijacking of the U.S. container ship Maersk Alabama by a crew of Somali pirates is a pulse-pounding thriller focusing on the relationship between the Alabama’s commanding officer, Captain Richard Phillips, and the Somali pirate captain, Muse, who takes him hostage. Starring: Tom Hanks, Catherine Keener, Corey Johnson. 134 minutes. Adult Summer Reading Programs sponsored in part through a donation by Alfred P. Liebold Associates. Keurig donated by CoffeeServ. Pick up the new June 2014 Calendar of Events and Friday Movies. Summer Reading kicks off June 23 for kids, teens and adults! Download the June 2014 Calendar today. Also Check out the June 2014 Friday Movies. New for Summer – 2014 Summer Evening Movies! 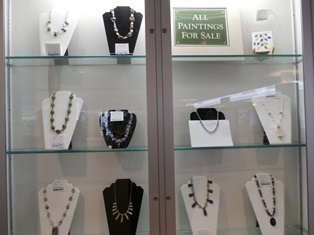 I want to thank Bart Dunlap and the many talented artists and jewelry makers responsible for this month’s Bucks-Mont Art League Art Show at the Library. We look forward to hosting them again next April. 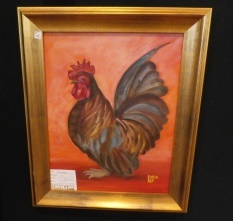 You still have a week to view the show and pick up a wonderful piece of art or custom-made jewelry for yourself! 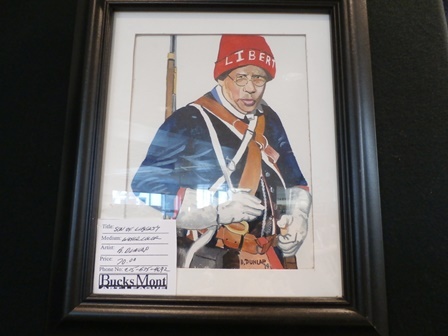 The Bucks-Mont Art League is a nonprofit organization dedicated to the awareness of the visual arts and the cultivation of creativity. Visit them on the Web.